Is the Qnap TS-251B The Answer To Your Media Needs? Today, we are looking at the Qnap TS-251B which is more than just a dumbed down file storage appliance. There is always a need to store data locally that you can access with every system in the home or office. It used to be that you had to build your own server (which we will explore soon in an upcoming article) but it used to require a dedicated system or file server to be on 24/7 ready to serve up your files on your network. This or even worse all fo your files were on your main system with no backup capabilities or limited network streaming capabilities. This seems like long ago but in reality, it is not that long ago and for some, a dedicated server is still a best use case if you are looking for a multi-faceted device that can not only be a file/media server but offload render work or VM loads. But let’s not get too far off topic here as that’s a pretty niche group as most PC/MAC users simply want somewhere to dump family photos and important files or music and media for easy access or streaming over the network. 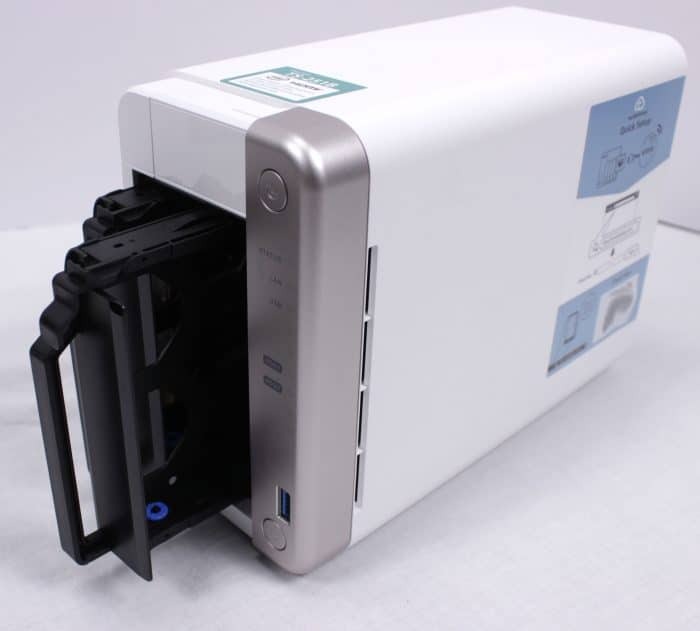 Along came specialized SOHO devices such as the Qnap TS-251B which we are looking at today. In essence, a small NAS like this is simply an mITX ultra small form factor computer designed specifically to be a convenient NAS (or Network Attached Storage) appliance. Most of these NAS units use ultra-low power chipsets to control them which means their capabilities beyond simply transferring and accessing files is extremely limited. 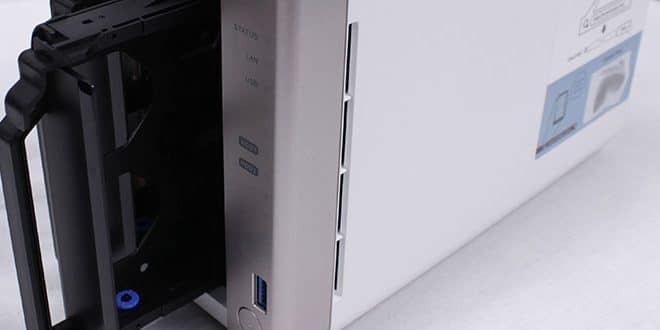 With the proliferation of network attached devices such as digital receivers and televisions and STB it really started to demand even more from a storage appliance like the Qnap TS-251B which we will be looking at today. The variations of resolutions you may consume video can vary wildly depending on if you are on a tablet/iPad vs a smartphone or even a smart TV or digital STB attached to a non-smart TV or even an HTPC. This means in many cases you want your media server to be able to transcode the media on the fly, something which most NAS devices are not capable of. The Qnap TS-251B comes to market at $289.00 and comes in a “diskless” form. This is a little above the median on pricing for 2 bay NAS appliances which most have ARM-based CPU’s which means you lose one of what I consider the highlight features for the Qnap TS-251B, and that is the ability for hardware level transcoding. This is where we pick some of the marketing points the manufacturer offers, then we explore them through our testing. PCIe Port for 10Gbe network or M.2 adapters. With a PCIe slot, its a great opportunity to turn a NAS into a high-speed capable unit with much faster networking than the included 1Gb LAN. However, with limited disk bays you will quickly be capped on throughput. The addition of an M.2 adapter card could be useful as a caching volume but even then, I do question the usability unless you are using the NAS as working volume to do heavy loading work where you are doing work directly from the drive. This is probably one of the most important features as the Intel Celeron CPU allows for sull hardware transcoding with supported applications such as Plex Media Server which we will look at soon. This allows you to backup snapshots of network attached systems at scheduled times. This could be helpful should an infection, data corruption or even drive failure occurs on your main rig. This means you can run sandboxed/VM apps although I would be apprehensive to put too much in regards to VM loads on the Qnap TS-251B since the limited CPU power and memory likely means it would be a very stripped down VM. But to be fair it can do it if you just wanted to connect and test specific software function or even use it as a DMZ to test specific questionable software. Just be sure that any important DATA folders on the NAS are NOT accessible by the VM. Allows easy remote access to apps and files on your Qnap TS-251B, this can also be directly accomplished and controlled by things such as FTP for remote file access but opening your device to inbound/outbound network traffic should be strictly controlled to avoid breaches into your network. The included Intel Celeron J3355 allows for AES-NI encryption which means consistently higher performance as the encryption can be run on the internal CPU which means more overall performance vs a weaker NAS on the market. With those out of the way now let’s unbox the Qnap TS-251B.